In today’s technology eco space, it’s no wonder that malware browser attacks are not limited to PC alone. With a pile of content loaded in mobile devices in the form of videos, email, health data, images, GIFs & more, it is quite easy for hackers to lure the user install an app & access sensitive data from local caches. 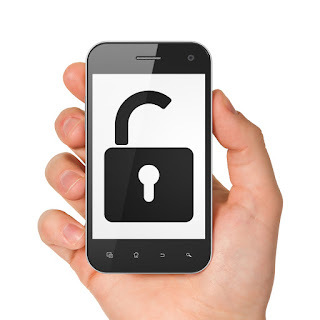 Within the corporate business framework, mobile security breaches seems just like regular news of the day. Another day, another data breach has come to limelight with recent high profile cyber-attacks for IT giants such as Deloitte & Equifax resulting in theft of private data & leakage of highly sensitive client information. Strong data security foundation is indispensable to fortify the defense mechanism against data leaks. Imagine what can go worse if your business-owned mobile device becomes the victim of phishing attacks. So, why not raise an alarm & be better safe now then regret later? 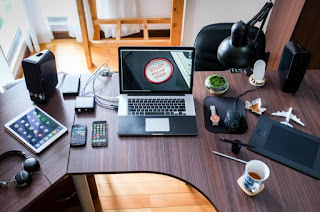 Given here are five smart tips for high-tech organizations to secure your office network connection on your mobile device. To prevent hackers’ access to your vital data, it is wise to turn off or better disable Bluetooth & Wi-Fi when you are not using them actively. Even before you need to turn them on, make sure of the permissions you allow. Are they secured? One of the common prompt that you get while managing app permission is if you want to synchronize your contact list? Avoid oversharing & connect only when you need to. The closest USB port that you trigger for phone charging might be an easy target to device hackers to steal your data. Avoid USB charging at public places such as toilets, airports, coffee shops, hotels and the like. It’s always safe to carry a wall charger or a portable battery pack. If your phone is backed by security passwords or facial recognition, that doesn’t necessarily, mean that your data is safe. More than a million google accounts are breached each day and the numbers are on the rise. To stop security breaches, it is advisable to use Google two factor authentications to prevent account takeovers. With robust implementation of the MobileIron platform, many IT giants today are securing corporate data & employee privacy data with Mobile Content Management support (MCM), multi-OS support & enterprise certificate based authentication process. It might be tempting to access public Wi-Fi networks for free but you never know the number of serious security risks you are inviting. Particularly if you are a business traveler, there’s no dearth of sophisticated hacking campaigns trying to trick your innocence! Just a few moments of inconvenience & trying to save few bucks can expose you to the theft of personal data or a big cyber theft. Think twice! Be it a park, cyber café, coffee shop or any other place, free download offers are the real baits for digital thieves to hack data. With hackers & their Phishing maneuvers getting sophisticated day by day, it is easy to fall prey of these cyber-attacks. Never click on sender’s message that poses to be a bank authority or someone influential compelling the user with a message to click on. Run a security audit for your entire IT as you are unaware which segments of your business data are vulnerable. A lot of corporate data leakage can be prevented smartly if we can check simple carelessness, gain more information about security & stay alert during daily mobile usages. So what have you done for mobile data security at your own company? Every year phishing emails costs about $4.5 billion for enterprises around the globe. Phishing mails not only suffer from poor deliverability but also pose as a great threat to the sender’s reputation. Unfortunately, today tricking the potential victims through the click bait is too easy a game for spammers. You break it, if you can crack it, but its important how to stop it. Although you cannot stop these ugly spoofing ploys, you can certainly minimise the risks of fake emails. Mailing lists stacked with unlimited contacts might look great, but the quality of leads that boost sales is a great challenge. 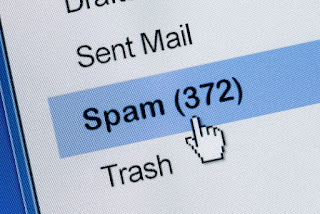 To navigate this spam -trick play & make sure that your results are not hampered, it is essential for marketers to look before they leap while launching B2B marketing campaigns. With the increasing number of false legitimizers posing phishing attacks with sophisticated tactics, it has become more difficult to spot malicious mails. If your mailing list is expensive, it doesn’t qualify to be authentic. Here are 6 key indicators to run a self-check for fake list and check for authenticity to save tons of your marketing dollars & safeguard your brand reputation. Run a self-check of the name given in the sender’s email address. Does it look familiar to you? Also introspect the domain name with the actual address to identify any misspelt words, jumbled strings of letters or numbers. Compare if it matches to the “mailto” address, if it doesn’t, it’s a fake email. Even if it happens to be a mail address; say company address which you already know & is in practise, there are high chances that it might be a duplicate contact. To check addresses used in email databases, check for the registered postal box (PO Box) addresses that are signed up with physical mail addresses. If you find that the location is serviced by govt. registered postal offices, this can score valid. It is important that the message intended to the recipient addresses the specific need of the recipient. If the tone of the message sways away from the intended business or social objective, chances are that it might be a spam. With too much fabrication the real value of the message is lost thus making it look like a spam. The subject line is the most common phishing bait that recipients fall for. If it invokes urgency, an unexpected surprise, an irresistible offer, or a threatening tone, this suggests a phish. So, do not click to open it. If the email starts with a generic salutation addressed to you, it might be fake. Without a personal salutation that includes the first or the last name, the status of your message is “unauthorized”. Likewise, a little seriousness for checks & smart introspections can help you identify whether the campaign is trick or does is hold any value. Email makes up for about 30% of data violations. The culprit is none other than the ill-gotten email addresses that are outdated & invalid. An authentic & verified mailing database is critical to any campaign success & can beat the competition easily. Marketing has touched the realms of quintessential brand promotion that has resulted in conversions and it ensures that no stones are left unturned to ensure returns. Databases have been an essential part of every marketing journey as without data strategies are just plain documentation. As, technology has been a great influence on modern day industrial scenario as starting from inception to deployment everything is taken care of by innovative tools and technology. This has given rise to a large pool of technology marketers who are responsible to promote, showcase and drive sales within prospects and services. Therefore, a technology database has become of great importance that is easy to use and is the main source leading to higher sales of technical software and services. If you are someone from the same line of business then these are a few key points for you that you should keep in mind before making an investment on technology email lists. High costs do not ensure quality: if you think that something which is priced at a higher side it is not an indicator that it would be high on quality. Make sure the pricing is charged per record, not for a large bulk as price per record would be justified. Chances are high that you would be in the business for quite some time now and already have a database on hand. In such cases you can look out for appending services and just get updated the invalid contacts. Make sure the data is verified on regular periods: data decay is a real problem, so make sure you don not fall prey to that. Ask your vendor about the time intervals the data records are verified; usually a quarterly period is also safe. As, technologies have an upgradation span of 2-3 months or about an year so make sure you have the real time information of latest buyers. Segmentation is a real deal: Data that comes in complex structure is not pleasant. If investing on something so useful make sure all the records come in desired particulars. It should be indexed properly to make it user-friendly and convenient. Equipped for geo-targeted initiatives: Before hiring a vendor do enquire about the geographical locations that fall under their service category. Regional data is always a high priority so make sure you keep that in mind. So, these are the few things every technology marketer should keep in mind while subscribing to a technology data provider. These are key basics, but usually marketers tend to treat these facts casually which leads to waste of valuable resources. Data can be a long term investment, but only if it is high on quality. So, ensure that all your records are good enough to strengthen your chances for greater conversions and deals. Pay attention to these simple things and we ensure you are going to leverage maximum benefit from your resourceful investment. So, get data ready and business smart and ensure that you have the best industry contacts from your upcoming campaigns. Experts say that technology is an obedient servant but a really dangerous master. Time and again, technology has proved the adage right by being a threat to mankind when used in excess. As a domain that has constantly witnessed changes and upgradations, the world of technology is one of the major contributors to the global economy and the world of Science. It is thus apt to say that the science of today is the technology of tomorrow. In addition to drastically changing the way people work and comprehend things, technology helps in solving bigger problems the easier way creating new opportunities to complete even the most complex jobs. The much awaited revolution of the Internet-of-Things (IoT) has resulted in the interconnectedness. But we all know for a fact that we are not living in smart and connected homes. There is a dearth for solutions that can tie a lot of applications together. Bigger companies have uniform user experiences viz. Google, Amazon and Apple but most businesses are looking for changes and advancement on this front in the years to come. The year 2016 witnessed some major changes for augmented reality and virtual reality with Pokémon Go, an AR game becoming a phenomenal hit with over a million downloads. The market is all spruced up for AR and VR and there are some early-stage devices and technology for multiple such applications. Machine learning has come a long way taking large strides forward in the last few years. However, we have only seen it entering through a partial range of applications. Machine learning may also incorporate products based on earlier purchase history to improve the user experience of analytics app. Automation is slated to be a bigger mainstay through 2017 and the advanced technology has enabled automation of previously human limited tasks. Robotic technology is going to take yet another leap forward and contribute to higher productivity levels. The combination of automation with machine learning will bring about significant changes in the world production. Mobile devices are continuously adding technology into our daily lives providing users access to infinite information worldwide. As a result of such integration, online brands like amazon will have physical products while retail outlets like Walmart and others will adopt more digital features including store maps. 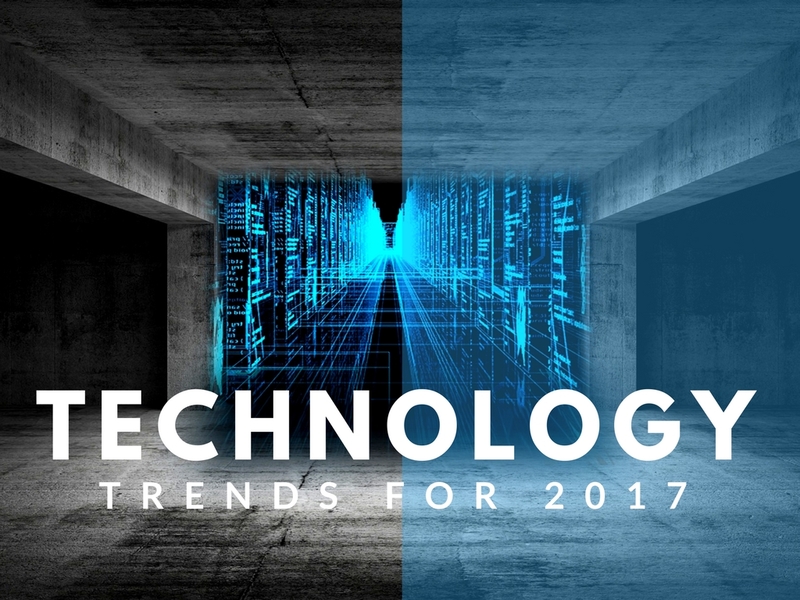 The year 2017 is going to be a year of technological advancements, integration of platforms and more. 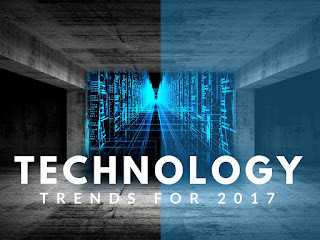 If you are a technology marketer an exhaustive technology mailing list from Technology User Lists can boost your business significantly. Know about the trends that are going to make their debut, to strategize more effectively. Bullhorn provides cloud-based CRM solutions for relationship-driven businesses. Its automated data capture and customer insight technology helps companies win customers and keep them engaged. Today, more than 7,000 companies rely on the Bullhorn platform to help increase sales, improve service delivery, and streamline operations. 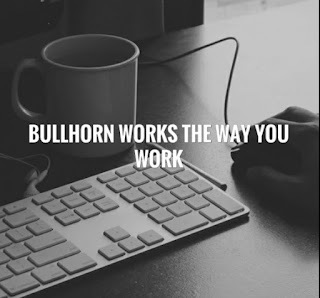 With an entrepreneurial approach and great passion for the customers we serve, Bullhorn has been leading the staffing software industry for over a decade with a variety of product offerings and its cloud-based CRM is now used by relationship-driven businesses of all kinds. As a company, we understand the market and exactly what our customers need to maximize performance and boost top-line growth. And that is exactly why Bullhorn is dedicated to, cultivating a strong innovation pipeline. Bullhorn CRM for staffing and recruitment !! With Bullhorn CRM for Staffing and Recruiting, your entire organization can accurately forecast pipeline and revenue growth. You can close the loop between sales and recruiting, increase adoption of your front office systems, and gain visibility into your clients' changing business needs. Bullhorn's industry-leading recruitment CRM system helps you manage existing and prospective client relationships and configure your sales process to be maximally efficient. Your team can access data anytime, anywhere, and on any device with Bullhorn’s mobile-powered selling capabilities. Bullhorn passively tracks all your email communication against candidate and client records so that you never miss a conversation. The Bullhorn CRM, however, is a relationship management platform. Streamline your sales process with Bullhorn’s patent-pending relationship tracking technology that intelligently centralizes multiple prospect communication streams, giving you a holistic view of how your relationship has progressed and where it's headed. You can't manage what you can't measure, and Bullhorn CRM's standard reports help agency leaders measure what's working and identify problematic bottlenecks before they result in lost revenue. Bullhorn delivers its recruitment CRM platform through any mobile device or tablet, allowing sales professionals to manage customer relationships anywhere, at any time. With the ability to view and edit records from anywhere, including your client's lobby, you'll have full visibility and be better prepared before, during, and after client meetings. Your sales team can’t afford to miss conversations with prospects and clients, and with Bullhorn’s passive activity tracking, they never will. Salespeople can easily parse in job orders and update contact records directly from emails thanks to Bullhorn's seamless integration with G-mail and Outlook. Bullhorn has provided the industry's first staffing-specific CRM integration with LinkedIn Recruiter. This integration streamlines a salesperson's work flow, reduces clicks, and provides a continuously up-to-date view of prospect and client information. Bullhorn recruitment CRM offers comprehensive lead and opportunity management, allowing your sales team to capture new leads from emails or web data and intelligently pursue opportunities. Bullhorn recruitment CRM is an industry-leading relationship management solution designed to help you pursue and win new business while getting the most from your existing customer relationships. And at Technology User Lists we provide the most reliable and meticulously developed Bullhorn CRM Users Email List. Our email lists will give technology marketers an edge over the other database providers in the market. With Technology User Lists you can effortlessly connect with Bullhorn CRM users in the global market. Adobe is an applications software developed by Adobe Systems. Adobe helps in effective viewing, creation and manipulation of the Portable Document Format. It ensures that various applications are made available to different devices. In the beginning, Adobe introduced the Adobe ‘Document Cloud’ with a major goal to have the entire PDFs available on any of the users` electronic devices. It made it easier for users to edit the PDF on an iPAD and later retrieve it on a PC. Designers have to imbibe new skills to be able to make an impact on business and design. Avid designers should have to move past the outdated skill based way of thinking where we hope to have success by simply learning applications or technologies. Companies today value designing and often incorporate design to the overall business strategy. By incorporating designing, businesses are able to create design and build business strategy for an impactful experience. 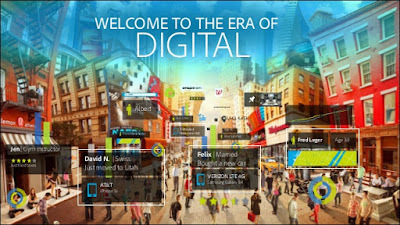 Adobe Marketing Cloud offers set of integrated digital marketing solutions. In addition to ensuring that marketers effectively organize, access, and personalize marketing content, Adobe ensures that customers have the ability to deliver the best experiences across channels. The future of publishing looks bright, more so with the media focussing on devices that deliver digital newspapers, magazines and books. Adobe emerged as a highly dependable software that ensures that users of different computer systems may successfully transfer documents from one computer to another through internet or secondary storage products for better view. The PDF formats may be read by any computer. Adobe Photoshop continues to be the leader in photo editing. It is an industry standard for image editing and with the Creative Cloud release it is now more versatile. Whether it is a staple for print designers or web designers and video professionals; Adobe has become more integral to business solutions. It is particularly important for businesses that focus on graphically appealing content and more. Adobe is a versatile software that has been incorporated into businesses worldwide and at Technology User Lists we provide authentic Adobe users lists that will give you access to valid data. It is a boon for technology marketers who wish to make it big in the world of business communication and brand building. Excel in business communication and take your campaigns a notch higher with the authentic mailing data. Adobe has transformed the business landscape effectively. Reach Adobe users and promote your services to them effectively with lists from Technology User Lists. Ease of implementation, robust functionality, and high deployment flexibility makes Infor CRM the platform of choice for manufacturing and distribution companies strategically focused on customer engagements. Infor CRM helps you strengthen your activities by using combing customer relationship across your sales, marketing and support teams. Your customer relationships are the driving force of your business. 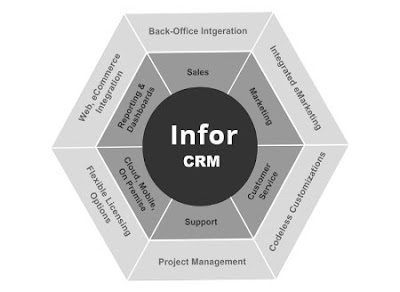 Therefore, by offering a complete view of every customer touch point across your sales, marketing and support teams, Infor CRM enables you to maximize the impact of every interaction across the entire customer life cycle whether in the office or out in the field. So what makes Infor CRM the market leader for medium and large businesses? 1. Infor CRMs’ flexible license and payment options suits your financial needs. You can select from multiple license types, mix-and-match and align roles with appropriate licenses. 2. It’s easy usability and intuitive functionality enhances productivity for your team. Your team will be up and running quickly with Infor CRM thanks to the easy-to-learn-and-use interface. You can realize high user acceptance and rapid productivity from your team. 3. Ownership and control of your CRM system and data. Whether you deploy Infor CRM in the Cloud, On-Premises, or in a Hybrid environment, you always maintain total control of your system and ownership of your data. 4. Infor CRMs’ state-of-the-art technology platform helps ensure maximum ROI for your business. You can define and automate key business processes, implement best practice work flows, and use sophisticated security and administration capabilities to get the most from your CRM solution. 5. Infor CRMs’ superior mobile and tablet supports your team stays productive on the go. Whether connected or disconnected, Infor Mobile CRM increases your productivity with a rich CRM experience. You can access your CRM data on the go using Android, iPhone, iPad, BlackBerry, and other devices at no additional charge. 6. Multiple deployment options-Cloud, On-Premises, or Hybrid- to fit your IT strategy. You can deploy Infor CRM using the method that fits your IT and business preferences and industry. Whichever deployment you choose, your data is always secure and accessible and you won't be hit with surprise changes. 7. Industry-leading integration capabilities for a 360 degree view of your customers. Infor CRMs’ ability to integrate with business management applications, desktop productivity tools, and social media helps establish a holistic view of each customer. 8. Infor CRM offers a suite of powerful reporting and analytics’ tools2 that give visibility into your sales activities and business operations, enabling informed decision making for users at all levels. 9. Advanced customization capabilities to tailor the application to your unique environment. You don't have to change the way you do business to accommodate your CRM solution. You can personalize, and customize Infor CRM to make it your own. 10. Global ecosystem of Infor's partners, developers, and customers support your CRM success. Leverage the knowledge of Infor CRM Business Partners, and a vibrant Infor CRM user community for local support and specialized expertise in your CRM initiative. The best part about Infor CRM is that it’s built for your business. It's industry-specific capabilities, deep integration, and unparalleled flexibility and control in how you deploy, use, and pay for your solution offers a best-of-breed CRM solution without compromise.